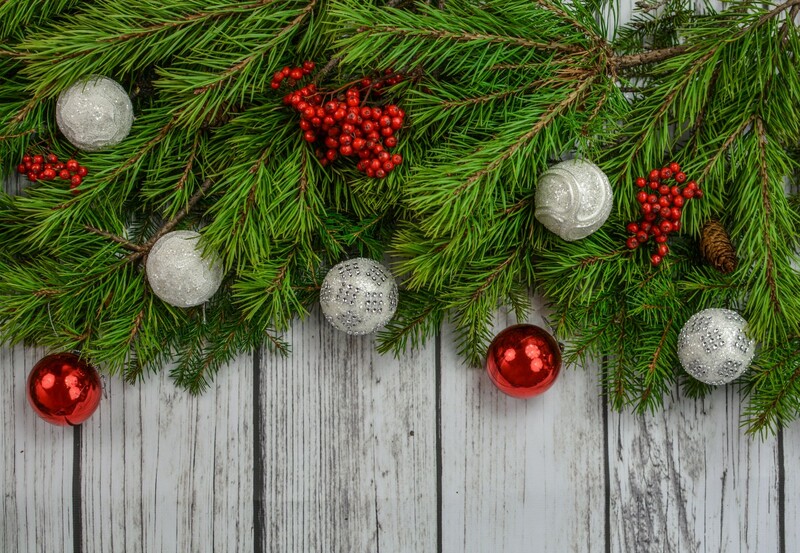 The sweet, freshening scent of pine invokes visions of warmth, relaxation, and time spent with family. It's a potent fragrance that is reminiscent of walking through wooded forests during the fall. The essential oil derived from pine trees has many of the same fragrant properties. In addition, using the oil in aromatherapy or as a topical application offers a range of health benefits. Pine oil is known to improve mood and boost mental clarity. It's also commonly used in skin care products thanks to its anti-inflammatory properties. Perhaps the most famous benefits of pine oil is its ability to cleanses surfaces. Delve deeper into this fragrant essential oil and find out how it can freshen your world. What Is Pine Essential Oil? Pine essential oil comes from the needles of the pine tree with the botanical name Pinus sylvestris. The pine tree is one of the most recognized trees in the world. It makes an appearance in millions of homes each year around the holidays as the classic Christmas tree. The scent of pine is invigorating and refreshing and commonly associated with family and warmth. This particular pine species is commonly known as Scotch pine or Scots pine. The Scotch pine is native to Eurasia and cultivated largely in Austria and Russia. The needle plant parts are removed from branches and subjected to steam distillation to produce pine essential oil. Pine oil contains high concentrations of monoterpenes that give it a cleansing and purifying effect. The Ancient Egyptians used pine kernels and pine nut oil in culinary dishes. Pine oil is widely used in modern times in construction and furniture. Pine is also the main ingredient in many household cleaning products. It's also common in fragrances, soaps, and cosmetics. The aroma of pine essential oil is rated as a top or middle note. It is strong and fresh with notes of evergreen and balsamic. Pine essential oil blends well with citrus oils such as sweet orange oil, neroli oil, and grapefruit oil. It also pairs well with other tree oils including tea tree oil, eucalyptus oil, and cypress oil. Pine oil can also add a crisp finish when blended with floral oils such as lavender oil. One of the main pine oil benefits is its ability to purify and cleanse surfaces. Pine oil is a disinfectant that also boasts minor antiseptic properties. Studies have shown that pine oil is effective in eliminating gram negative bacteria including the ones that cause salmonella, herpes, and the common flu. Additionally, it may help fight E. coli as well as Candida albicans, which can cause lesions in the mouth known as oral thrush. Other research has shown that pine oil may effectively kill the causes of typhoid, cholera, and whooping cough. It's no surprise that pine oil is a staple ingredient in many household cleaners. Pine-Sol is one of the most common brands and contains anywhere from 8 to 12% pine oil in its original formulation. Pine oil can be used on a variety of surfaces including sinks, counters, and floors. Make your own pine oil cleaner using just a few ingredients. Combine 20 drops each of pine oil, tea tree oil, and lemon essential oil in a large spray bottle. Fill with distilled water. Spray liberally on hard, non-porous surfaces for cleaning. Make a floor cleaner by adding 20 drops of pine oil to a mop bucket. Fill with water and mop as normal. You can also use pine oil to clean pots and pans with stuck-on food. Add 10 drops pine oil to half a cup of baking soda. Work into a paste and scrub pans using a sponge. Pine oil has antibacterial, antimicrobial, and antifungal properties that help to cleanse air and improve breathing. The refreshing aroma works as a decongestant to eliminate mucus that can cause cough and chest congestion during cold and flu season. One study published in the Lithuanian journal Medicina examined the ability of pine oil to improve air quality. Researchers were looking at the potential for a natural remedy to treat what is commonly known as sick building syndrome. This syndrome is characterized by severe coughing, difficulty breathing, and infections in the respiratory tract. It's often caused by poor indoor air quality due to pollution and the presence of microorganisms. Researchers found that pine oil was effective in eliminating fungi, yeast, and bacteria in the air. 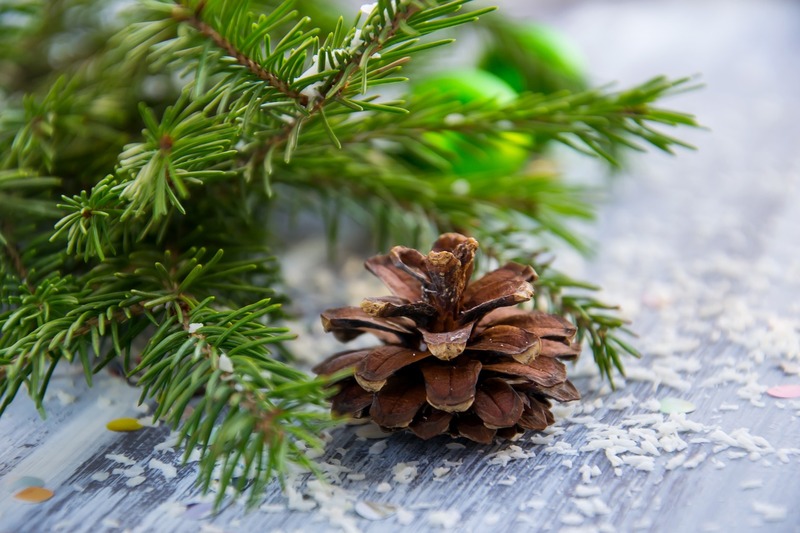 Use pine oil in aromatherapy to clean air in your home. Add 3 to 4 drops of pine oil to your diffuser and run for 30 to 60 minutes twice per day. If you live in a big city, you can diffuse pine more frequently to combat pollution in your home. Pine oil can also be used as a cold and flu remedy. Use a pine oil steam bath to alleviate chest congestion. Bring a pot of water to a rapid boil and remove from heat. Add in 5 drops of pine essential oil and cover you head with a towel. Lean about 6 inches above the hot water and breathe deeply for 5 minutes as the fragrance opens your airways. Pine oil may help to treat skin conditions such as psoriasis and fungal infections including athlete's foot. The antioxidants in pine oil help to support skin cell health and regeneration. This essential oil also works to improve moisture content in the skin. Research shows that pine extract can help build up the skin's barrier and increase hydration. Some of these compounds may also increase collagen production and stimulate hyaluronic acid—two ingredients that are common in anti-aging creams. One of the main causes of premature aging is the presence of free radicals. These non-charged chemicals wreak havoc in the body and cause oxidative stress that wears down cells. In skin cells, free radicals can lead to wrinkles, skin pigmentation, and fine lines. Pine oil helps to prevent these signs of aging thanks to its antioxidant capacity. Antioxidants work to neutralize excess free radicals, helping to improve the appearance of skin. Combine 2 drops pine oil with 2 drops carrier oil and apply topically to fungal or bacterial infections on skin. You can also use the oil in combination with carrier oil such as magnesium oil before bed as a moisturizer. Add in a few drops of lavender oil to help induce sleep and relaxation while your skin resets. The aroma of pine essential oil helps to calm nerves and uplift mood. The pine oil works as an anti-inflammatory agent to reduce the release of the stress hormone cortisol. The refreshing scent has warming properties that induce feelings of comfort and relaxation. The scent of pine oil is reminiscent of tea tree oil and can help improve memory recall and increase alertness. Start the day off right by diffusing a few drops of pine oil in an ultrasonic or humidifying diffuser. The invigorating pine scent will help you wake up and tackle the day ahead of you. Unwind after a long or stressful day with a pine oil bath. Fill the tub with warm water and add in 4 drops of pine oil and 4 drops coconut oil. Soak for 15 to 20 minutes. Make sure to focus on deep breathing and inhaling the piney fragrance. The anti-inflammatory properties of pine oil help to reduce swelling that causes pain in muscles and joints. Inflammation in joints can cause sever joint pain and arthritis. Pine oil works to calm joint muscles, helping to reduce stiffness and improve quality of life. Pine oil is also an analgesic, helping to inhibit pain receptors and dull the severity of pain. Use pine oil to reduce pain in joints, muscles, and headaches. Mix 5 drops of pine oil with 2 ounces carrier oil and apply liberally to pain points. Rub gently, but firmly in a circular motion for 5 minutes or until pain subsides. For headache pain, gently massage temples with 2 drops each of pine oil and carrier oil. Pine essential oil is nontoxic and doesn't contain any known irritants. There are still a few things to keep in mind when using pine needle essential oils. Even though pine oil is generally non irritating, it can still cause skin reactions in certain individuals. People with sensitive skin or allergies to pine trees may develop a skin rash. Conduct a small patch test and wait 24 hours. If there is no reaction, you can apply pine oil in larger quantities. Always combine pine oil with carrier oil such as olive oil, coconut oil, or jojoba oil when applying topically. Keep the oil away from sensitive mucous membranes including the eyelids, nose, and mouth. The Food and Drug administration rates Scotch pine oil as safe for flavoring culinary dishes. Oral consumption of essential oils can be dangerous when not done properly or cautiously. Consult with an essential oils expert or a physician before using pine oil orally. Consumption of large amounts of pine oil can cause kidney damage. Do not take pine oil orally if you suffer from a kidney disease. Only use pine oil in small amounts. Pine oil boasts health benefits for you and your home. Smooth and hydrate skin by using pine oil as a moisturizer. Pine oil can also improve air quality and reduce pollution in your home. This oil can help reduce pain symptoms with few side effects. You're sure to love the familiar pine scent that invokes the spirit of Christmas and feelings of contentment.